L’Oreal Super Blendable Makeup: Your Skin Has Met Its Match! As a morena, it’s really hard to find an affordable foundation that’s not only good, but matches my skin tone as well and thankfully, there’s L’Oreal’s True Match foundation range. They offer a vast range of shades and the best part is they have good choices for fair, medium, morena and tan skin tones! 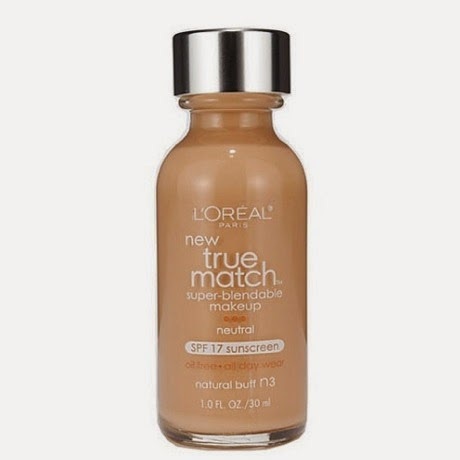 If you’re new to the line and you want to find your match right away, just visit L’OREAL TRUE MATCH SHADE FINDER. Anyhoo! I have some Beauty Blogger friends who love using True Match, and one even concluded that it’s her best drugstore foundation find. When it comes to makeup, to use is to believe and like them, I think I may have found the drugstore foundation to beat too! More about this fabulous find after the cut! L’Oreal Paris believes that we are all worth it, thus they created a foundation innovation that doesn’t only give you your precise match, but also blends in like a dream and is packed with moisturizing and pro ingredients. Presenting L’Oreal True Match Super Blendable Makeup! 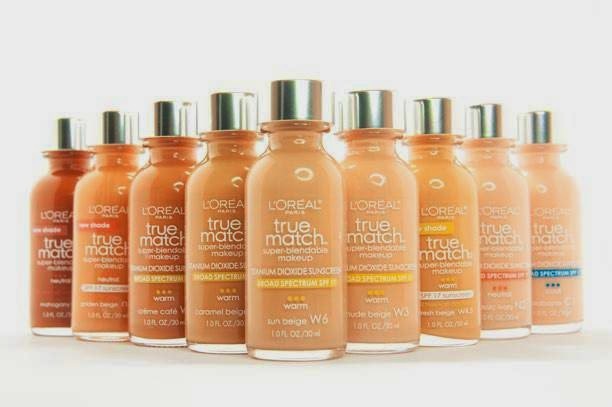 True Match Super Blendable comes in a whole, new pro- looking bottle and in 15 shades-yes, that’s right. 15 shades in cool, neutral, and warm undertones for a finish that looks just like skin. Formula contains the Precise Match Technology to calibrate the skin color, micro- fine optical pearls that blur out skin imperfections, and Glycerin, Vitamin B, and Vitamin E to nourish skin. It retails at P899.00 only and you can find it in all leading drugstores and department stores. My shade in this line is W7 Caramel Beige and it suits me just fine, and I shall be taking pictures of color swatches and will review it pronto! Please visit L’OREAL PHILIPPINES on Facebook for more information about this product. I've heard tons and tons of great things about this foundation! I'm definitely intrigued to try them out. I'm still finishing my CoverGirl Outlast foundation, but when I'm done with it, I'll definitely try this out! That shade finder is so functional too. Can't wait for you to swatch it. If you haven't found your true love, in L'Oreal you'll find your true match. Haha #corny. Anyway, for pro- MUAs out there, sana may cream formula sila na nakalagay sa palette para mas convenient dalhin instead of buying the individual bottles. It is super pro looking! And I think everyone is still in search for their true match. Ihope this will also cover blemishes and will not cause me break out. I am having a hard time choosing Foundation so I need to check this out. Hope I can really find my true match here. Looking forward on your review and the pictures of color swatches on this.Would love to see them. Thank you! Alright! It's about time that a drugstore brand invests in a bigger foundation selection for the Pinay market. Now it's only a matter of being able to chat with a knowledgeable sales associate who can recommend exactly the right shade. I've gotten a little paranoid with foundations since finding out that I first have to road test them in ALL possible lighting situations before taking the plunge. I think I have neutral undertones, so it'll be a challenge to find HG foundies. Though I'm not fond of drugstore foundations, this looks really nice and promising. :) I'm excited for its full review! Lei: I got a different shade too than caramel beige, but caramel beige is perfect for me. I guess it's best to visit a counter and swatch! I checked this out earlier last week and I'm happy to have found a match. I didn't find a match from the True Match Le Teint line.